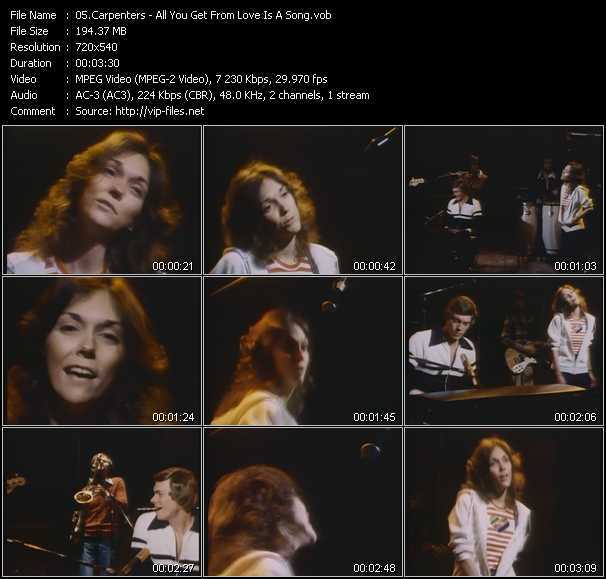 15 High Quality Music Videos from DVD "Carpenters. Gold. Greatest Hits"